When my nephew was a young boy, he had a favorite cake we named Roger Cake in his honor. 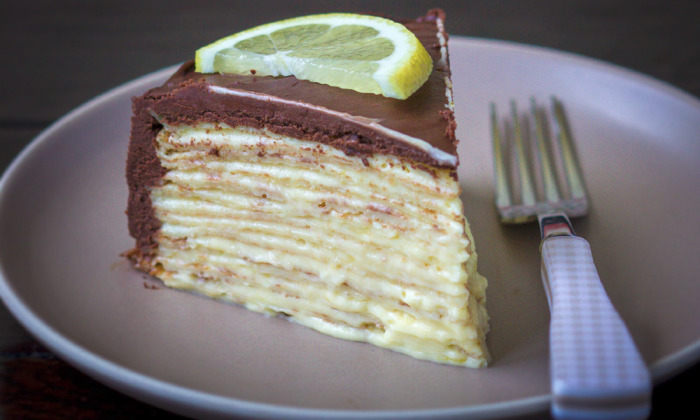 It was a multi layered nut torte, filled with a lightened lemon curd, and covered in chocolate ganache. No recipe existed for the Roger Cake. It was concocted and baked by the housekeeper of our cousins from Toronto, who like so many European cooks, rarely followed a recipe. Over the years I've tried to recreate it with varying degrees of success.